A wide variety to excite your tastebuds! 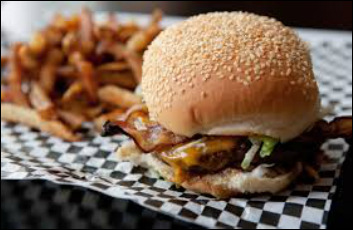 Burgers, fries, shakes and more! It's not fast food... It's good food fast! 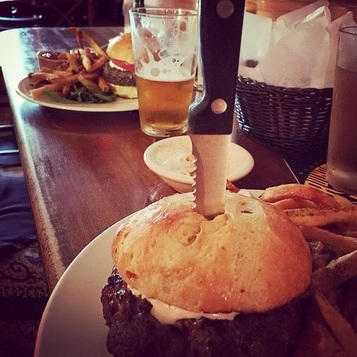 Local is a family owned and operated restaurant in Northampton Massachusetts and Keene, New Hampshire. Our goal is to provide fresh, delicious, and well-priced food, while supporting the community through the use of local produce, products and services. The Chowder House is a unique, New England style eatery that offers a handful of made-from-scratch items. 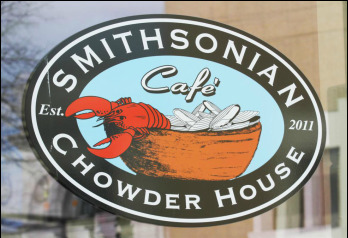 With our three locations in Northampton, Hatfield and Greenfield, we make it fun and affordable to be apart of the “Chowder House” experience. 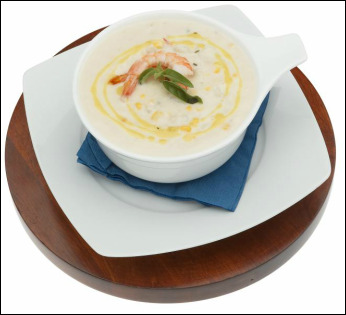 Come taste our Award-winning Chowder & Soups, Scratch-baked Gourmet Cupcakes & Muffins, Freshly-baked POPOVERS, Gourmet Grilled Cheese sandwiches, Fresh Salads & More! 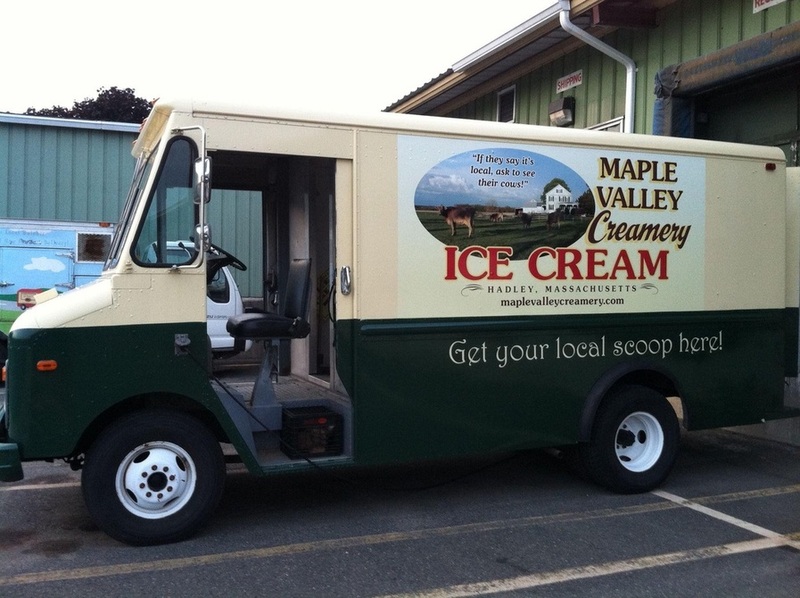 Maple Valley Creamery was established by farmers who believe that quality dairy products should be made using fresh milk from local cows. By purchasing our products you are helping to sustain open spaces, local farms and a time honored way of life. explore, experiment, create, and enjoy! 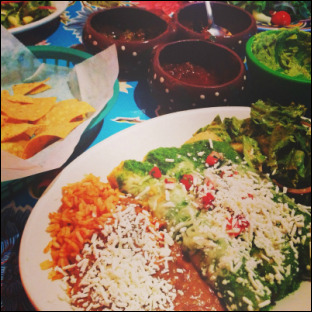 Vibrant cantina pairs house margaritas with enchiladas, burritos & tacos stuffed with Mexican meats. 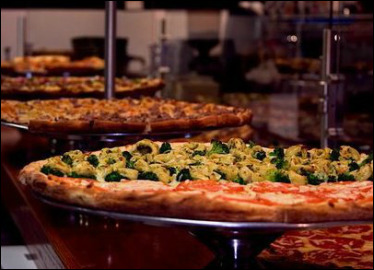 Owner Sam Harbey has been making pizza in the Valley for over ten years. He opened up Sam's in June of 2007 and has been satisfying hungry customers every since. From the flavorful black bean, avocado, tomato and feta slices to the famous Chatham sandwich featuring homemade chicken salad with scallions, cranberries and pecans, Sam's has something for everyone. Other features include a full espresso bar, home brewed iced teas, regional beers, handcrafted desserts and live music every week. 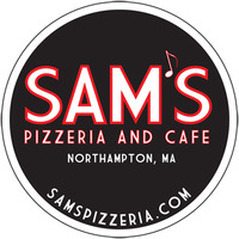 Sam's is also partners with a number of local businesses and farms, and regularly features soups and salads made exclusively with fresh, local ingredients. McLadden's is a true craft beer experience. We are proud to offer one of the finest & most diverse beer selections in all of New England. Our draught beer line up features a wide range of American craft selections as well as beers from around the world. 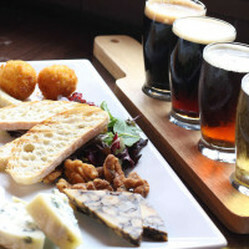 Our draughts rotate frequently so there is always something new to try. McLadden's staff are Certified Beer Servers in the Cicerone program so we don't just sell great beer, we can help you decide what to drink or just chat about brewing in general. Our draughts are delivered to you by our proprietary Perfect Pour Tap System to insure the beer is served to brewery specifications. In the bottle, we offer more than 50 beers from many countries around the world. Most of our bottle selections are hard to find & cellar aged. 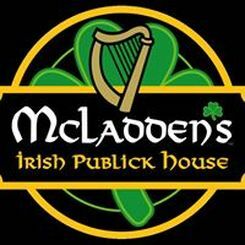 Whether it is a domestic product, premium import or hard to find craft brew, McLaddens' is BEER SERIOUS! 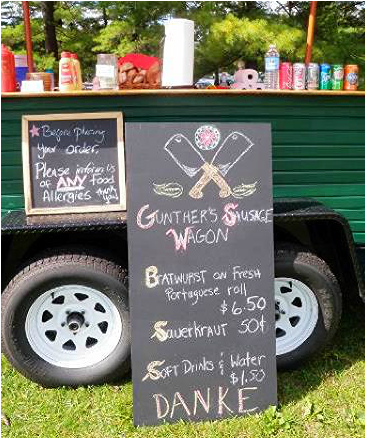 Günther's Sausage Wagon prides it's self on serving authentic German bratwurst. 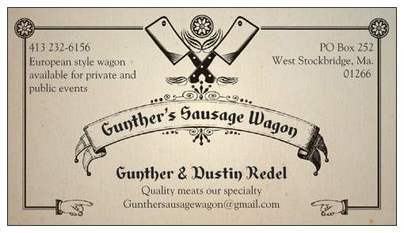 We have a local butcher make a family recipe from Germany using only choice cuts of veal and pork. Our bratwurst consists of only natural ingredients and no preservatives. We serve our bratwurst on a fresh baked Portuguese roll from a small family bakery. Along with sauerkraut we also offer our special curry sauce. 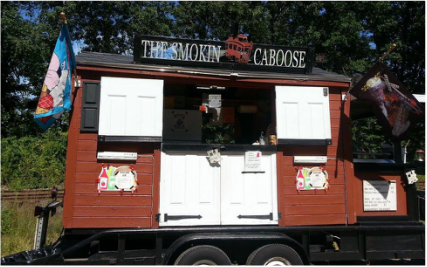 We attend events all over the North East with our European style wagon, just like you would see at a market in Germany. Born and raised in New Orleans, La. 7th Ward. The Creole epicenter of the city. 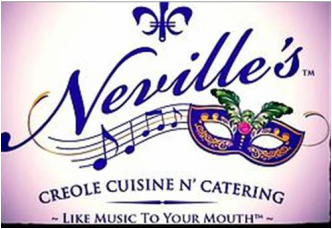 Chef Carlos Neville is from the first family of New Orleans music, The Neville Brothers, Charles Neville is his father. Following in the family tradition Chef Carlos played the Saxophone from middle school to college. 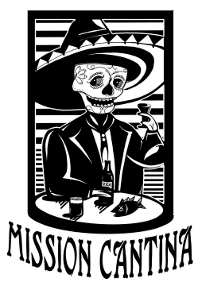 After leaving college Carlos got a job as a dish washer, at the New Orleans Coutry Club, it was there that he realized his passion and that HIS stage would be the kitchen. Chef Carlos has worked with Legends of New Orleans cuisine such as the late Austin Leslie, Susan Spicer of Bayona, Arthur Humphrey of World Famous N'awlins Cafe & Spice Emporium, and Sellers Johnson of Pampi's to name a few.In the eighties Chef Carlos was Executive Chef at Zahars Middle Eastern Cuisine in Eugene Oregon. 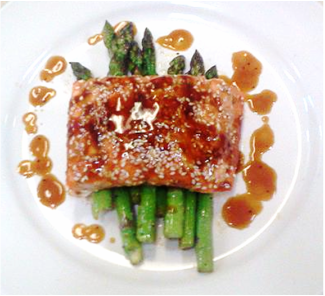 Since moving to Massachusetts he has catered for clients in The Hamptons NY, Boston Ma, and Manhattan NY. Owing most thanks to his late grandmother who would have him(aganist his will) in the kitchen with her. This is where he learned of all the Creole traditions and most important his work ethic. With food as the scales and cords, seasoning as the melody and cooking method as the rhythm, Chef Carlos Neville composes gastronomic symphonies which are as pleasing the the mouth as New Orleans music is to the ears.